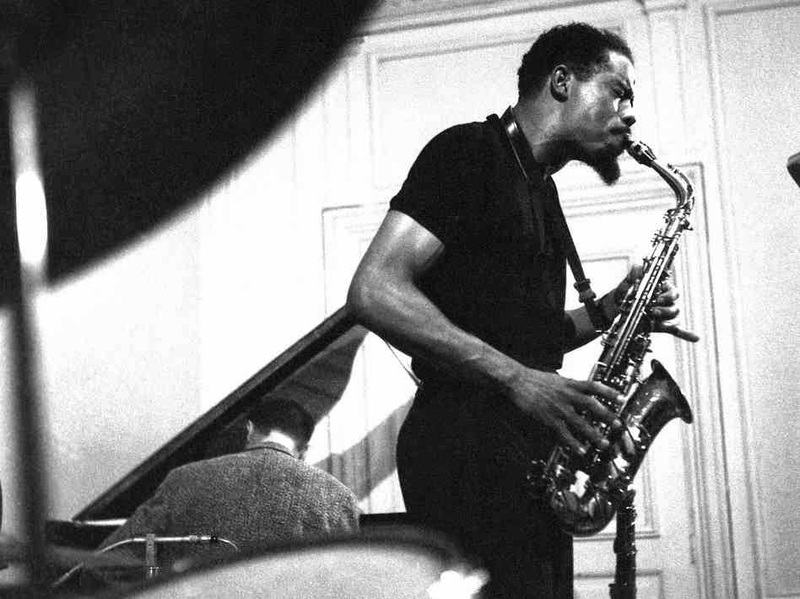 1964 was a great year for cutting-edge jazz records like Albert Ayler's Spiritual Unity, John Coltrane's A Love Supreme and Andrew Hill's Point of Departure. But none sounds as far ahead of its time as Eric Dolphy's masterpiece Out to Lunch, recorded for Blue Note on Feb. 25, 1964. Half a century later it still sounds crazy in a good way. The organized mayhem starts with Dolphy's tunes, often featuring wide, wide leaps in the melody and ratchet-gear rhythms. His composition "Straight Up and Down" was inspired by the careful walk of a drunk striving to stay upright. He improvised with that same kind of angular energy, and an excitable tone like a goosed goose.